I love to cook - it's creative, social and comes in quite handy when one needs something to eat. This evening I made the main course for my mother along with two items she does quite well, Cole slaw and seasoned baked potatoes. Actually she is a good cook and does quite well at preparing most any dish. The Cole slaw is a simple combination of white and red cabbage, a three to one ratio roughly, mixed in with just the right amounts of mayo, white or balsamic vinegar, salt and pepper. All the cabbage is rough cut as this is not simply a side dish – it’s meant to be heartier in this case. The potatoes are always baked, but prior they are hand rubbed with extra virgin olive oil and kosher salt. This makes a world of difference as these spuds are baking and even more so once the fork hits your mouth. I pan seared pork loins for about one minute on each side in a highly heated cast iron skillet after they marinated for about an hour (Another hour or two would have been better, but I was running late.) in a mix of soy sauce, fresh black pepper, sliced yellow onion, freshly rasped garlic and lime juice. Afterwards I broiled these for four minutes on each side in the oven. Fresh Rosemary was put late in the fry pan and added to the broiler pan along with butter and a little olive oil prior to broiling. Total preparation and cook time for all courses was ten minutes (minus marinating time) and it was the first time I ever had a piece of pork (even my own) that I did not want to pour a sauce on. It was moist, tender and tasty - the same can be done to most any poultry or beef. My mother is very appreciative of anything done well or done for her and she did appreciate the meal (which she also helped prepare) and showed her praise and thanks as she usually (always) does. We both enjoyed the meal, but this time she also gave me praise for some other task which perhaps I find menial, but for sake of after-meal enjoyment, I tend to get done quite quickly. Washing dishes. Unless there are four or more people having dinner I rarely use the dishwasher. I can get most of this task done before I’m done cooking. I don’t need a dishwasher – the rest can wait ‘til later or morning. I’m having another glass of beer or wine. But lately I have gotten into the habit of knocking this out as soon as dinner is done. This woman raised me – I can occasionally get the dishes done post haste when eating at her home. At some time she walked into the kitchen. 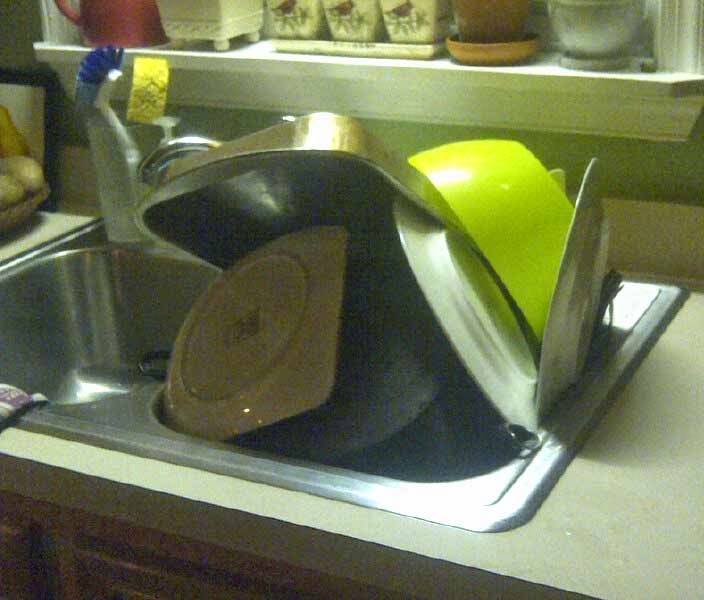 Later she said,” There is some artistic merit to how you placed those dishes to dry.” – that’s my mother. Find and enjoy those little pleasures in life, particularly for or from your loved ones.